Our guest speaker was David Harrison, City of Carlsbad Emergency Preparedness Manager, a position he has held for over ten years. David is a US Navy Captain (retired). He commanded a warship, led the development of the Navy’s Antiterrorism and Face Protection program, and developed early warning, and defense systems against Iraq’s SCUD missiles. He is the current President of Carlsbad Hi-Noon Rotary. David is founder of the Carlsbad Community Emergency Response Team (CERT). He is also co-founder of the Ready Carlsbad Business Alliance. He was honored by the Carlsbad Chamber of Commerce as one of its volunteers of the year for his efforts to prepare the community for disaster through the Ready Carlsbad Business Alliance. Planning for emergencies is critical to safety. Effective planning can reduce the disruption, trauma and costs of disasters – saving lives, property and the environment. The San Diego County Office of Emergency Services is responsible for maintaining the county emergency plan, which facilitates regional mutual aid. The City of Carlsbad's Emergency Management Administrative Team (CEMAT) maintains the Carlsbad Emergency Operations Plan. These plans are consistent and interoperable to maximize regional mutual aid support. The San Diego County Emergency Site provides information from the national weather service, current fire information from CalFire, SDG&E outages, as well as other emergency information. David gave an overview of Carlsbad’s Emergency Planning. 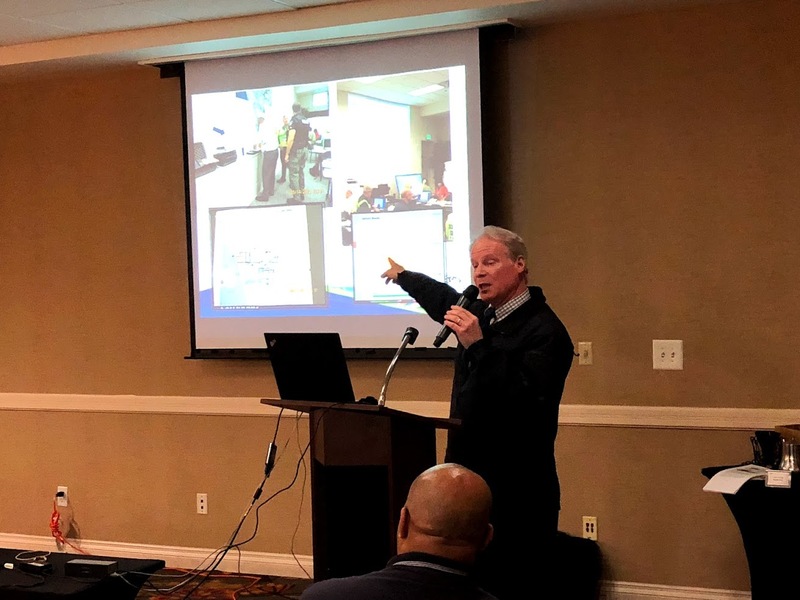 He showed excellent PowerPoint illustrations and pictures relating to the Poinsettia fire in May 2014, which several Rotary members experienced. During emergencies like this, the EOC’s purpose is to provide safety and welfare support to the community, support to the first responders in the field, and support to city decision makers. He complimented Kasia Trojanowska for her Evacuation shelter management during the Lilac Fire (Carlsbad’s Stagecoach Shelter). David recommends that all Rotarians should register their cell phones with http://www.readysandiego.org/ to receive local emergency alerts.